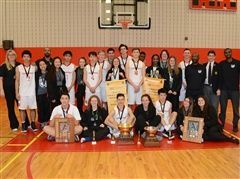 After three years as provincial Visser Tournament champions, the senior boys basketball program returned to its roots in 2016-17, joining the local RSEQ Div. 3 high school league. The team also competes in tournament play and at the national CAIS tournament. SB Basketball @ RSGC, CAIS Tournament, Ridley College, St. Catharines, Ont. SB Basketball @ Ridley, CAIS Tournament, Ridley College, St. Catharines, Ont. SB Basketball @ KES, CAIS Tournament, Ridley College, St. Catharines, Ont. SB Basketball @ BCS, CAIS Tournament, Ridley College, St. Catharines, Ont. SB Basketball @ Sacred Heart, CAIS Tournament, Ridley College, St. Catharines, Ont. 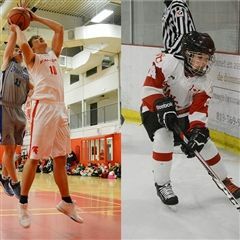 It was a highly successful athletic weekend for the Stanstead College Spartans in the gym and in the arena. Bonjour mes amis de basket.I am a little behind on my write-ups so, in this issue of “Duane’s Diary”, I will combine our last four contests into one great big beautiful report. Here we go! Challenged by tired legs and weary minds, from the opening tip I could tell that this was going to be a tough one for us.